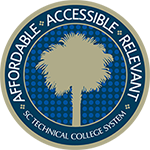 The SC Technical College System offers a wide variety of academic and career programs. Using the drop-down menu below, you can select a field of study to find out which colleges offer degree and diploma programs in that field. South Carolina's 16 technical colleges offer a wide variety of academic and career programs. Using the drop-down menu below, you can select a field of study to find out which colleges offer degree and diploma programs in that field. The degree and diploma programs available at each of the colleges will appear automatically in a table below.